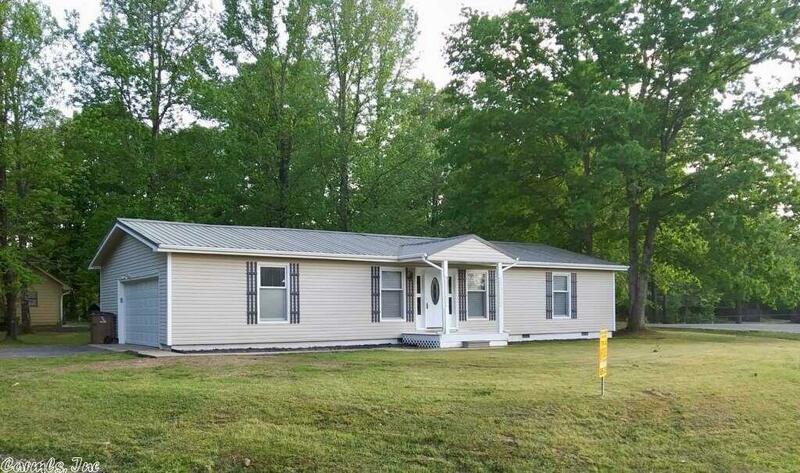 This country home sits on a large lot & a quite street with no through traffic. There are 2 bedrooms plus an office & 2 full bathrooms. This home could easily have a 3rd bedroom with minimal modifications to the office. Many new updates including a new metal roof, hot water heater, kitchen cabinets with a beautiful tile back splash, counters tops, and breakfast bar, and a tiled master shower with clear glass doors, as well as new floor coverings. This home qualifies for the 0 down Rural Development Loan!